A transcript of the Lew Rockwell Show episode 222 with James Altucher. ROCKWELL: Well, good morning. This is the Lew Rockwell Show. 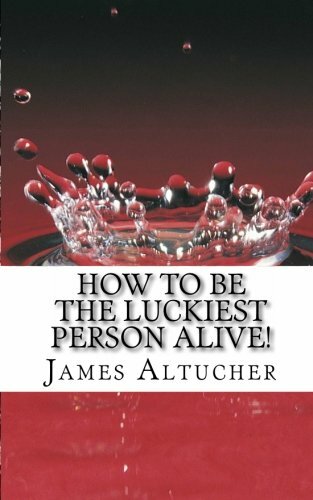 And how great it is to have as our guest this morning, Mr. James Altucher. ALTUCHER: Lew, thanks for having me on. It’s just one of the extraordinary things on the web, James. And we could talk about many things that you discuss but I wanted to start off with two, why you should never buy a house and also why you should never send your kid to college. ALTUCHER: You know, it’s interesting; these are two items that people are literally religious about. I could go into the middle of Times Square in New York City and shout whatever I wanted about Jesus or Moses or Buddha, and people will just walk around me and assume I was crazy. But if I said, “Don’t send your kids to college,” I’d probably be hung right there, or shot right there. People get very angry about this. But the reality is students now are graduating with more student loan debt than credit card debt, than total U.S. credit card debt in the first time in history. We’re graduating a generation of indentured students. And people question why America is starting to hurt or come in second place. It’s because everybody can’t create anymore. They can’t invent. They can’t innovate. They have to get essentially jobs that will allow them to pay back this enormous debt. It’s horrible. ROCKWELL: You know, I was interested to watch again — of course, the terrible news about Steve Jobs retiring, the CEO of Apple — his wonderful 1995 commencement address to Stanford. And the first thing he talked about, in his life, was how glad he was a college dropout. ALTUCHER: Yeah, he went to one semester at Reed College and it’s unclear even if he really attended any classes. He was also doing some drugs during that semester. But he did attend a class on calligraphy and I think that inspired a lot of his design sensibility. But the reality is that guy was a hustler all his life. He created. He innovated. He’s created hundreds of millions of dollars worth of jobs. I mean, I was reading, just in 2006 alone, a billion dollars worth of jobs were created just around the iPod Ecosystem, the music player. So clearly, this guy has had an enormous affect on life. He spent one semester in college and dropped out or was kicked out, and he didn’t need it. Nor did people need it for thousands of years, as the world developed into what it is today. ROCKWELL: Well, this has all come about, hasn’t it, since the establishment of the G.I. Bill after World War II and the whole propaganda that everybody should go to school. At the same time, the education system is being dumbed down so that today’s college education, you learn a whole lot less if you attend all those classes at the local state university or whatever than you would have learned, say, before World War II. So we’re paying more and more and more for less and less and less. And as you say, students get these incredible debt levels that, of course, they can’t bankrupt themselves out of. These debts are with you until the end of your days. — America religion. We’ve got to bail out every bank and we’ve got to make sure they all survive. Oh, and then everybody who gets unemployed, we have to keep paying them, too. So I don’t know what’s going to happen to change things but the first thing is people have to realize, if you want to survive now in the world, you need to hustle and create for yourself. Because you can be 30 years on the job and they will fire you with one-day’s notice, not give you insurance, not give you any kind of benefits at all, and that’s it, you’re done. There’s no corporate safety. That was a myth, too. That goes right alongside going to college and buying a home. None of those things are safe. ROCKWELL: Right after the bust, I can remember seeing a divorce lawyer being interviewed on television and she said, you know, it’s so strange what’s happened to my practice. Everything used to be about who gets the house. She’s said, now, it’s who gets stuck with that thing. ALTUCHER: Yeah, tell me about it. Look, recently, I’m divorced, and my ex has the house. But I personally am happy. I like to rent. I like to be able to move around. You know, owning a home, people say, oh, when you rent, you’re just throwing money down the drain. That’s not true at all. Cash is king. So you can put cash into investments. You can buy stocks. You can buy gold, whatever. And when you buy a home, that cash you put down, that’s gone forever. Then there’s maintenance. Then there’s property taxes. All these things go up with inflation. So don’t think you’re pulling one over on everybody when you buy a home as an investment. It’s the worst investment possible. You’re borrowing a lot of money. You’re using so much of your net worth. It’s a horrible attribute of an investor to use so much of your net worth on one single investment. A home is never a good investment. Is it a lifestyle choice? Sure. I have my own opinions on that. Other people differ. But, for me, I like to be able to move around and have flexibility. Let’s not forget, America was built on the back of corporate America and industrial America. Factories didn’t want their employees to move around, so owning a home — convincing people to own a home with a white picket fence was a good way to decrease the flexibility their employees had in terms of quitting and finding better jobs for themselves. And alongside of this were the banks, who were more than happy to lend to people, at exorbitant interest rates, money to buy homes. So the whole thing to me — and then you have Fannie Mae coming in — for some reason, Andrew Cuomo wanted Fannie Mae to reduce all their standards in 1997, so Fannie Mae comes in and backs all the loans by the banks, so ultimately nobody’s responsible for who has to collect this money, and the whole thing fell apart. It was destined to fall apart. It’s still falling apart. ROCKWELL: I always think it’s a good rule of thumb, don’t ever do anything the government wants you to do. And since this whole homeownership mania began really beyond what — sort of a natural market percentage of the population who own their own homes. 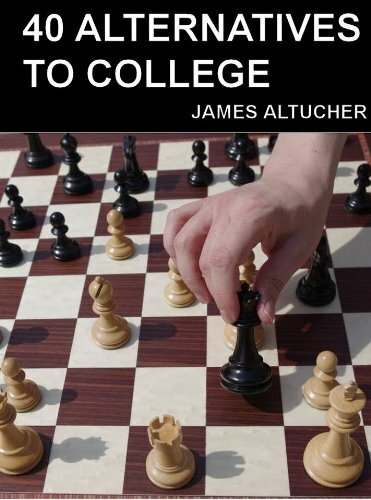 40 Alternatives to Col... James Altucher Check Amazon for Pricing. Most people rented but that began to change with the New Deal with Roosevelt setting up the Federal Housing Administration and the V.A. giving home loans. There’s been a constant push ever since then to have everybody tied down by this ball and chain called a house or a condo. ALTUCHER: Yeah. And you know, it’s interesting you bring up Roosevelt. Essentially, the economy was falling apart in the Depression, and so what Roosevelt did was he put on a lot of Band-Aids. He covered the economy up with a lot of Band-Aids. And we kept getting more and more Band-Aids, the Great Society with Lyndon Johnson, with Clinton reducing all the Fannie Mae standards. And so now what we have is we have an economy that has so many Band-Aids on it, it looks like a zombie. And you can’t take these Band-Aids off. They’re stuck. We’re stuck. And you’re right. If the government is encouraging you to do something, they’re doing it for two reasons: fear and greed. That’s how anybody does things, but they are the government. And then the media amplifies it. So you have a little crisis, the media turns it into a big crisis. And the government fans those flames so we either think, oh, we’ve got to buy a home right now or the world is ending, when neither is true. Although, again, you kind of want to avoid what the government is encouraging you to do, whether it’s buying a home, getting a student loan or whatever. ROCKWELL: Or joining the Army. ALTUCHER: Joining the Army? That’s another one. Where the heck did all these wars come from? We’re involved in four or five wars. I thought this guy just won the Nobel Peace Prize. And what happened? We’re in the worst wars that the United States has ever been in. And 18-year-old kids! Mothers are sending 18-year-old kids to fight these wars they don’t even understand. It’s the saddest thing I’ve ever seen. And civilians are getting killed, too, in these places. It’s not like troops fighting troops. There’s no ground warfare; there’s very little. There’s basically guerilla warfare all FAQ ME James Altucher Check Amazon for Pricing. over these countries where babies are getting killed. So it’s just a horrible, horrible thing, what’s going on. And no wonder the rest of the world is starting to hate America. It’s really a shame. ROCKWELL: You know, James, thinking of terrible things that are happening, are we starting to see the excess reserves being loaned out? I mean, are we starting to face a serious price-inflation problem? ALTUCHER: We could be. It’s very interesting; before Bernanke began his Quantitative Easing 2, called QE2, the banks had a trillion dollars in excess reserves. So then Ben Bernanke did $600 billion worth of QE2. Now what do the banks have? They have $1.6 trillion in excess reserves. So the banks haven’t started loaning out yet, even though the economy is starting to improve. My biggest worry now, Bernanke has made a huge mistake; he ran the printing press. And now, the economy is improving, the banks are going to start lending it out, then we’re going to see this massive inflation. It’s going to be massive. ROCKWELL: Do you think it’s going to be worse than the ’70s? ALTUCHER: The inflation will be worse than the ’70s. I don’t necessarily think it will be stagflation like the ’70s. I actually think the best place to be probably is in stocks for the long run, just because they — most of corporate America’s revenues now come from the global economy, so stocks are almost like an inflation hedge. But what I do think could happen is we could start seeing — we’re going to see another bubble of some sort. So last time, it was the housing bubble. The time before that was an Internet bubble. We don’t know where the bubble is going to be this time. Maybe it will be gold. Maybe it will be another sector of stocks. But there’s going to be another bubble. And after that, who knows? Crisis again. Bubbles always lead to a crisis. ROCKWELL: James, am I right in thinking that you have started to get interested in Libertarianism? And if that’s correct, what got you interested? ALTUCHER: Well, I think the events of the past, not just three years or four years but really 15 years where I started to see more and more promises made that were simply lies. Like, I mean, the most basic examples are the weapons of mass destruction in Iraq. And then you see the pictures of 18 year olds coming back from Iraq, just their lives are ruined. And you see just on a basic level all people really want to do is be happy. They don’t necessarily need a billion dollars. They don’t necessarily need to own a home or have a college degree. But we do advocate the pursuit of happiness in this country. And when the government is sending people to these horrible wars, forcing people to go to college or else you can’t — supposedly you can’t get a job, forcing people to own a home so that the banking industry can survive, I think — it scares me. And then you visit Washington, D.C. — I’m assuming you’ve visited Washington, D.C., many times — you see building after building. What do these people do? What does the Department of Education do? It was created under Carter. Education has gone straight down since then. There’s just more and more government involvement in our lives. Has been a horrible thing. — hate to visit the place. I mean, the people walking on the sidewalks are walking arrogantly. I mean, everything about the whole place is so unpleasant. Every presidential memorial is some kind of pagan religious temple. All the buildings look like Mussolini designed them. I mean, it’s a horrible place, Washington, D.C.
ALTUCHER: It’s true. You see these buildings, it looks like they go on forever. It’s like out of a comic book about bureaucracy. And you’re right. Everybody, all they’re doing is talking about what their rank is and how much influence they have. And meanwhile, we’ve got 16% shadow unemployment. And the foreclosure situation is so bad in this country right now. I was talking to someone who was a vice chairman of a major bank. They said the bank — and this is one of the top-three major banks. They said the bank has no clue how many foreclosures there are out there. They’re so lost and buried in paperwork right now they can’t even pursue these foreclosures. It’s just a mess. And so my question is, you know, interest rates are supposedly at all time lows, why not just let — you’ve already lent these people money at 6% or 7%, assuming they could pay it back. Why not just lend them out at the new interest rates? Just change their loan. And like, oh, no, we can’t do that because the value of the houses have gone down. Yeah, the value of the houses have gone down because you lent the money at the 6% or 7% interest rate, so just change it — (laughing). But they can’t do it. ROCKWELL: No. And, of course, we live in some kind of bankocracy; Western Europe, too. So everything, the whole West in going down the drain, in part, to make sure, as you point out, that all the banks are held harmless. ALTUCHER: Yeah, right. Like, in Europe right now, nobody is paying any money back to anybody. And the Eurozone has just figured out, oh, wait, we have a printing press also; we can print Euros just like the U.S. did. So what we’re going to see there is kind of a race to the bottom between the Euro and the dollar. Unfortunately, actually, I think the dollar is going to win. So you’re going to see the massive inflation first in Europe while the dollar is held up artificially as a flight to safety because everyone is scared of owning any other currency. And people would own gold but that’s a powerful investment so not everybody wants to go out there and buy gold either. ROCKWELL: James Altucher, thanks so much for coming on today. I, again, want to recommend, take a look at James’ archive on LRC. We’re going to link to his site, to all his books. And all I can say is you’re a breath of fresh air. ROCKWELL: Thanks for being on LRC. Thanks for coming on this show today. And keep it up. ALTUCHER: Thanks again. I’m a huge fan so thanks for inviting me on your show. I’m happy to come back any time. And this has been great. ROCKWELL: Well, thanks so much for listening to the Lew Rockwell Show today. Take a look at all the podcasts. There have been hundreds of them. There’s a link on the upper right-hand corner of the LRC front page. Thank you.